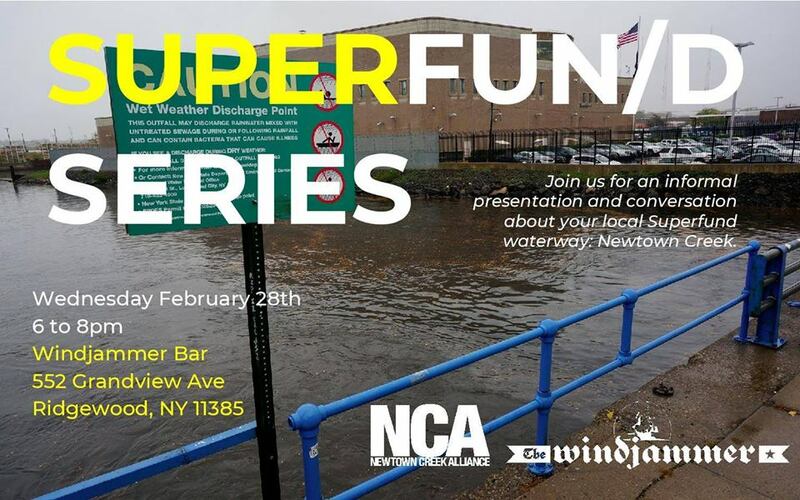 Join your fellow neighbors in a series of informal gatherings to learn about and discuss the latest happenings on our local superfund waterway; Newtown Creek. While this 4 mile waterway still faces significant environmental issues, there has been great progress in recent years to revitalize this largely neglected border of the boroughs. In an effort to better engage the “head of Creek” communities of Bushwick, Ridgewood and Maspeth, the Newtown Creek Alliance (NCA) is hosting a winter series of socially-focussed meetings. These events will include a brief presentation reviewing the current state of the Creek including larger clean-up efforts and grassroots projects; we’ll have lots of materials and background info on hand. See Feb 28th Presentation here. Earth Day Festivities with NCA and Friends!